Our occupational hygienist gave a briefing on ‘Lung Health’ to the workforce. The focus was primarily on how stopping smoking can be the best thing you can do for your lung health. 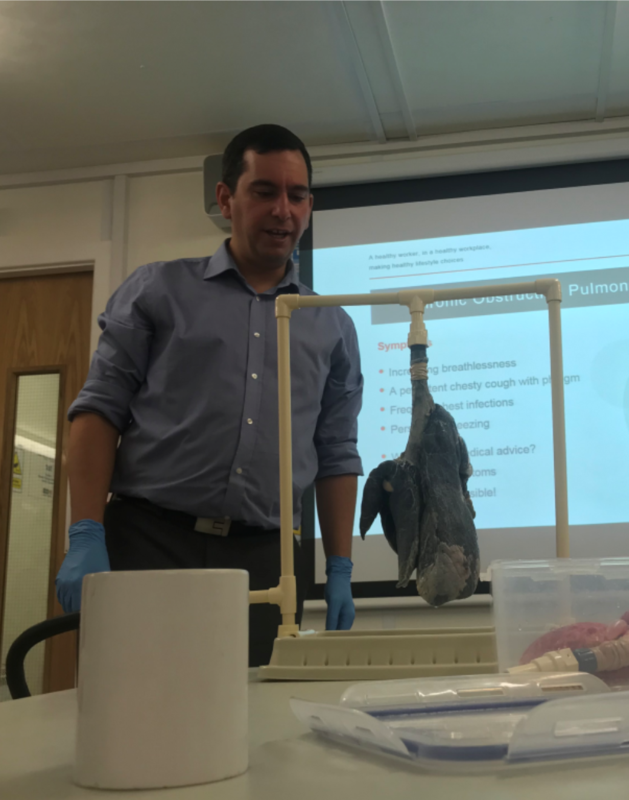 He brought along his infamous pig lungs to show how lungs are discoloured and damaged by tar and other components in smoking. He also showed the difference between inflating a healthy lung and the damaged lung. This explained why it is more difficult to breathe with lung damage. He also highlighted that construction-related ill lung health such as silicosis is often made worse by smoking and stressed the importance of wearing appropriate RPE and following control measures. We were therefore able to combine several topics to give people a very interesting briefing on lung health for Stoptober.